Having travelled to Shrewsbury last weekend to speak at the excellent Darwin Festival, organised by Shropshire Wildlife Trust and partners, I took the opportunity to do some extreme entomology. 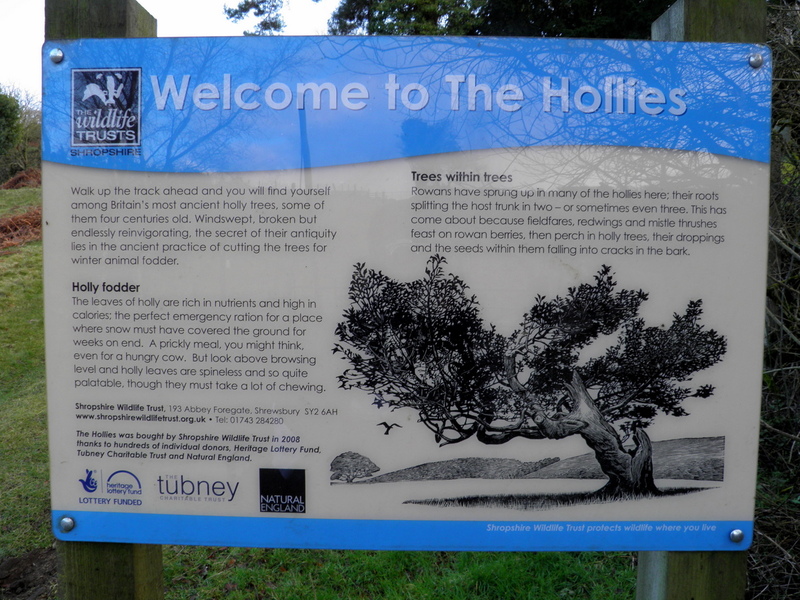 Okay, so The Hollies (next door to The Stiperstones, near Shrewsbury) is a bit higher than where I live, 350 metres as opposed to 100 m, but the altitude can’t be said to be extreme. And although a cold, gloves-on February day might not be the usual choice for bug-hunting – the temperature records claim it was 7-8 °C, but with a biting wind it felt a good deal colder – that wasn’t really extreme either, although it did make it hard to keep the beating tray steady. No, the extreme thing here was the trees I was searching for signs of insect life: a range of ancient Holly trees, some believed to be about 400 years old. The Holly trees at The Hollies are an extraordinary range of shapes. Many are individual isolated trees that have been sculpted by wind and time into gnarled shapes that stretch and lean. There is precious little shelter to be had, either for the trees themselves, or any insects that might live in or on them, or indeed for the visiting entomologist. This must be one of the few Holly populations anywhere in Britain where the Holly Leaf-miner fly (Phytomyza ilicis) struggles to gain a foothold – I found just a few mines on one of the slightly less exposed trees. 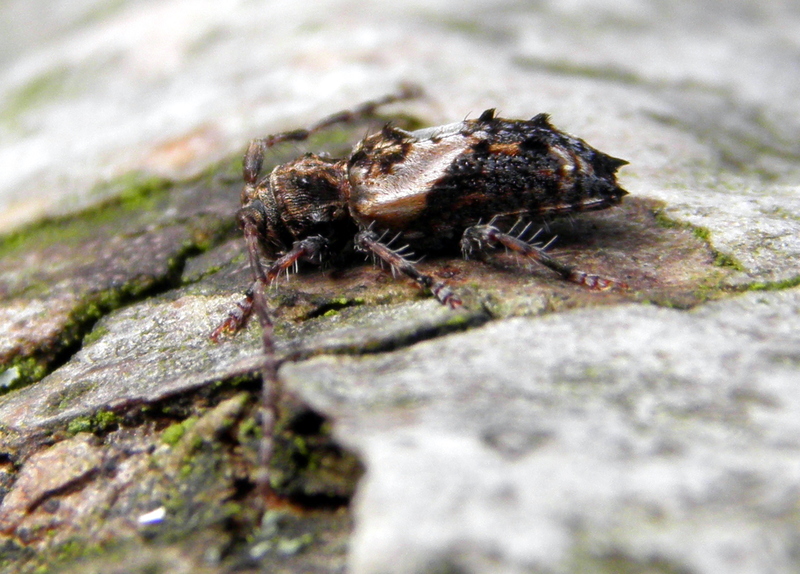 But a lot of insects clearly do make their home here, as testified by the peppering of beetle exit holes in the trunks and limbs of the trees. And in fact the first insect to fall out of a Holly and onto my beating tray was the Lesser Thorn-tipped Longhorn Beetle (Pogonocherus hispidus). Larvae of this small (5mm) but attractive beetle develop in the small branches of a range of trees including Holly. Do have a look at these two great close-ups by John Hallmén on Flickr. A modest list, but not bad for a very cold February afternoon, especially as all but two (Porcellio scaber and Anthocoris nemorum) of these invertebrates are new records for the Stiperstones area, according to the useful list compiled by Pete Boardman in 2010. I find it comforting that these many of these species have probably been happily living at The Hollies for many generations, over the centuries since the current hollies started growing. These are links to the various sites looked at during the online resources workshop at the Oxfordshire recorders’ day, organised by TVERC on 25 February 2012. Quite a few of these have appeared in the blog before (e.g. citizen science, online identification), but they’re all useful sites so no harm in repeating them. Following discussion of the pros and cons of using digital photos for wildlife identification we spent some time exploring iSpot (you will be unsurprised to hear! ), and what the site does to encourage proper documentation of photo-records and their identification. We also looked in on the iSpot identification keys. Next up was online recording, focusing on Indicia and Birdtrack. Like iSpot, Indicia is one of the projects from OPAL, and it provides a toolkit for adding online recording to an existing website. There are an increasing number of effective recording systems being set up with Indicia, including for the British Dragonfly Society and the BBC’s version of the UK Ladybird Survey. 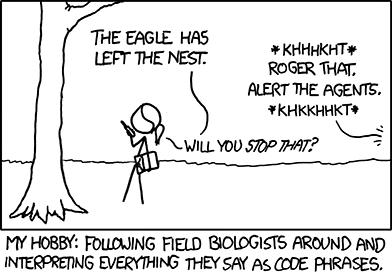 Birdtrack has been around for a while now, developed by the British Trust for Ornithology and partners, and it really is a superb way of making bird records useful both to you as recorder, and to the conservation organisations that can make use of your data. I’ve only recently started adding my bird records to the site (I’m not much of a birder, so it’s not been a great loss to them! ), and am really impressed with the way that Birdtrack handles a range of different types of recording, and provides excellent feedback. Twitter, Facebook, Google+, blogs: time well-spent, or time, well, just spent? As for Twitter, just leap in and have a go. I’m @kitenet if you want to follow me. I haven’t found how to make the most of Google+ yet, but I’m on there too. 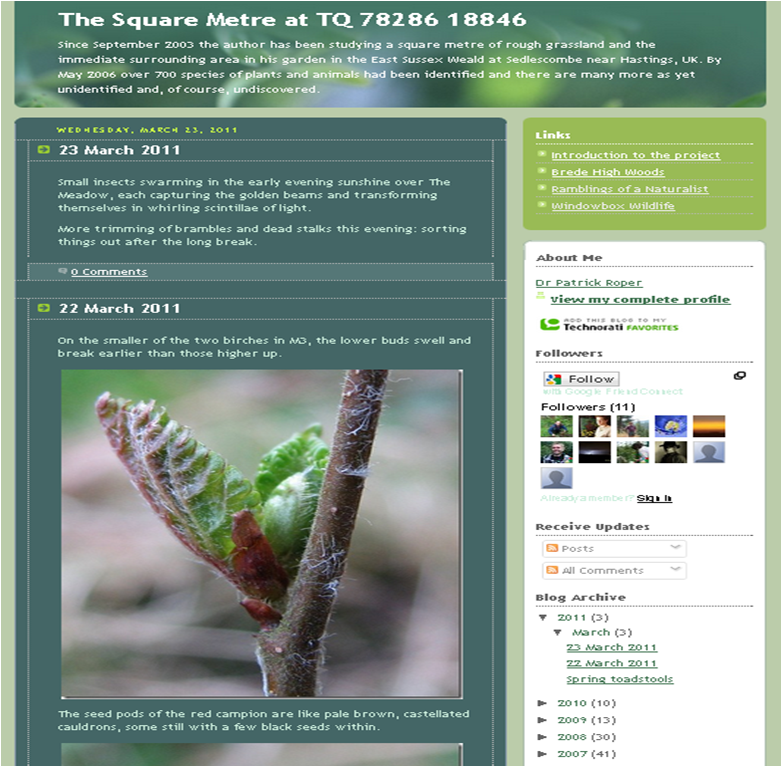 Here are some links to do with citizen science and (mostly) wildlife recording, compiled to support a ‘Café Science’ event I’m presenting at the Darwin Festival in Shrewsbury, 17 February 2012.